Hours:​ ​​Seasonal,​ ​September-May,​ ​24​ ​weeks​ ​per​ ​year.​ ​M-F,​ ​some​ ​weekends​ ​and​ ​evenings​ ​required.​ ​Must be​ ​on​ ​site​ ​3-4​ ​days​ ​per​ ​week,​ ​during​ ​program​ ​hours.​ ​Program​ ​hours​ ​are​ ​3:00-6:00​ ​M,​ ​T,​ ​Th,​ ​F​ ​and 1:00-4:00​ ​W. 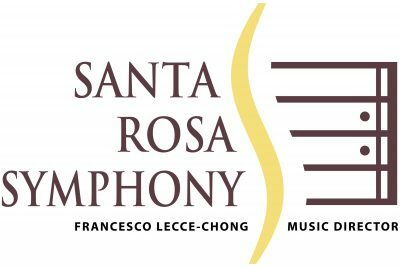 Santa​ ​Rosa​ ​Symphony​ ​Simply​ ​Strings​ ​Program​ ​overview:​​ ​​Inspired​ ​by​ ​El​ ​Sistema,​ ​Venezuela’s​ ​acclaimed social​ ​action​ ​music​ ​network,​ ​Simply​ ​Strings​ ​develops​ ​musical​ ​excellence​ ​and​ ​promotes​ ​social engagement.​ ​​ ​Through​ ​this​ ​program,​ ​based​ ​at​ ​Sheppard​ ​Accelerated​ ​Elementary​ ​School​ ​in​ ​Roseland, children​ ​beginning​ ​in​ ​second​ ​grade​ ​receive​ ​daily​ ​intensive​ ​ensemble​ ​instruction​ ​two​ ​hours​ ​a​ ​day,​ ​five days​ ​a​ ​week​ ​after​ ​school. The​ ​main​ ​objective​ ​of​ ​the​ ​Rehearsal​ ​Assistant​ ​is​ ​to​ ​support​ ​the​ ​needs​ ​of​ ​Simply​ ​Strings​ ​staff,​ ​teaching artists,​ ​parents​ ​and​ ​students​ ​in​ ​their​ ​daily​ ​activities.